Croxley Green Residents Association thank county councillor Steve Drury for his financial support towards the web based project. The building of the histiry site is progressing albeit a little slow but we hope to be able to launch the website towards the end of the summer. Croxley Green Residents Association thank the Parish Council for their kind support of £500 towards the web based project. 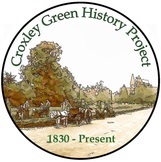 The Croxley Green Residents Association - History Group would like to gratefully acknowledge the Croxley Green Parish Council's enthusiastic reception of the plans for a history website of Croxley Green and the Parish Council's practical support with funding. This funding will enable the History Group to access valuable essential resources that can be eventually be made available to local residents and the wider community. These can be stored on the website and will safeguard the past which gives Croxley Green its own local distinctiveness. The ongoing interest and collaboration with the Parish Council is crucial to the project. Croxley Green has changed considerably in the150 years since John Dickinson built his paper mills in the area. A small village with a scattering of farms and country houses has grown into a semi urban community. Memories of how life was lived in the past as well as the present day sum up the distinctiveness of our locality and we would like to hear from people who live, or have lived, in Croxley Green so we can record their memories and capture stories and anecdotes that makes our village pretty unique. Local people can pass on their childhood memories and reminiscences. Story telling is a way of keeping local knowledge alive. Quite often it is the smallest things which delight us and take us into another world. Memories may be events that took place in the community, of school days and holidays, the world of work. People’s memories of how life used to be are essential if we wish to record local history for future generations. 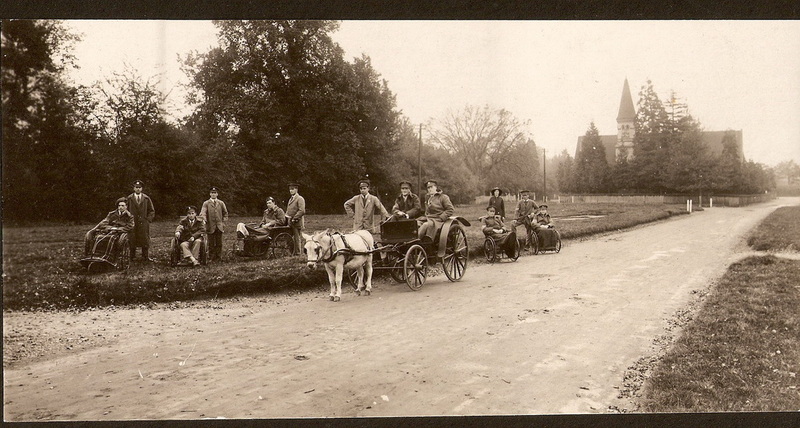 The Croxley Green Residents Association has considered all these aspects and is embarking on a project to collate as much information as possible by gathering the past and present to create a series of snapshots in time. This will be updated as new information comes to light and new activities evolve in and around our parish. - Collecting copies of photographs that depict the life and times from resident's own collections so they can be added to the growing archive already started. What will happen to this material? There are many ways that collected archives can be stored and made available to everyone. For example – a book, posting information on a website as well as making information we collect available at the local library. A website will enable anyone from around the world to view and obtain information about the growing history of our unique community! The CGRA will be applying for a grant from the Heritage Lottery Fund that will provide us with the funding to carry out this venture. please contact us via our website contact page.